L.Colucci calls a number of at least 3 digits a gapful number if is divisible by the number formed by the first and last digit of . For example, 583 is gapful because it is divisible by 53. About the 7.46% of the numbers are gapful. 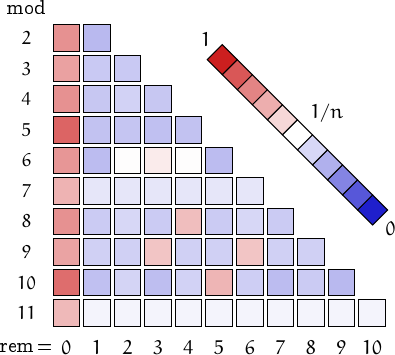 The smallest Pythagorean triple made of gapful numbers is (100, 120, 200) and the first such primitive triple is (3159, 29440, 29609). The concept can be extended to other bases. For example, the number 240 is gapful in all the bases from 2 to 10 and the number 54288 is gapful in all the bases from 2 to 16. 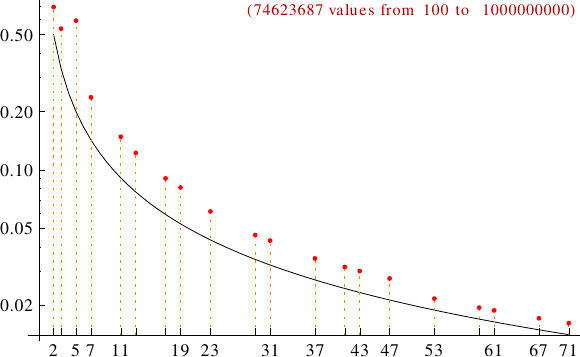 A graph displaying how many gapful numbers are multiples of the primes p from 2 to 71. In black the ideal line 1/p.